A month (or two?) ago my cousin asked if I would like to do a baby quilt (not for her, but for her daughter). I said sure, and then proceeded to forget / put off deciding to do it for at least another month. I had thought maybe I would, but how would I charge, would I charge, precedent is set, all these questions & many more froze me to my path. Not a great strategy of dealing with things, I know, but one I am most familiar with. So I was asked a week ago if I was still up for doing it, and so I rummaged around looking for jelly roll patterns, happened on Quiltville (OK I know about quiltville, I have KNOWN about quiltville for quite some time now) and I happened to see a quilt or two that struck my fancy. So I proceeded to message rapidly & rabidly my indecision, my possible solutions. 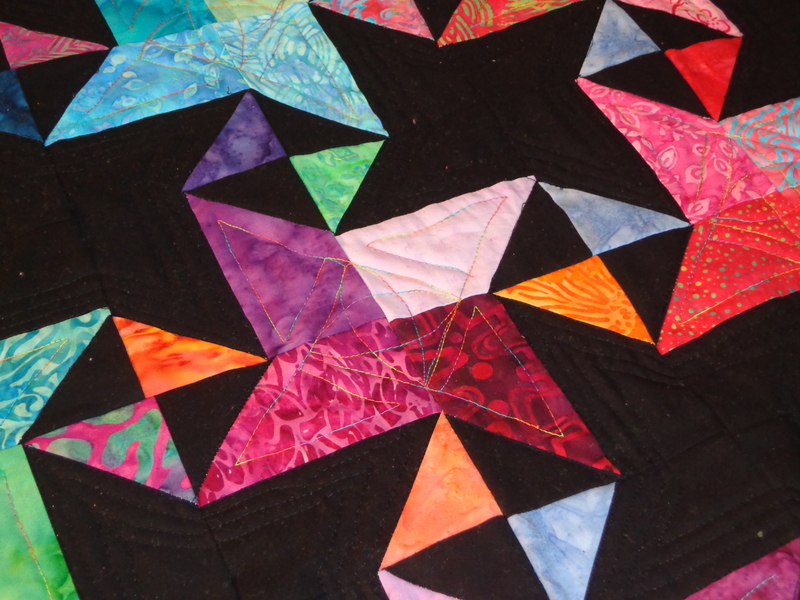 A day or so later, she told me that her daughter really liked black & brights a lot, which was one of my favorite quilt options that I really liked that I would be happy with a quilt like this, even if things didn’t work out for the baby quilt. 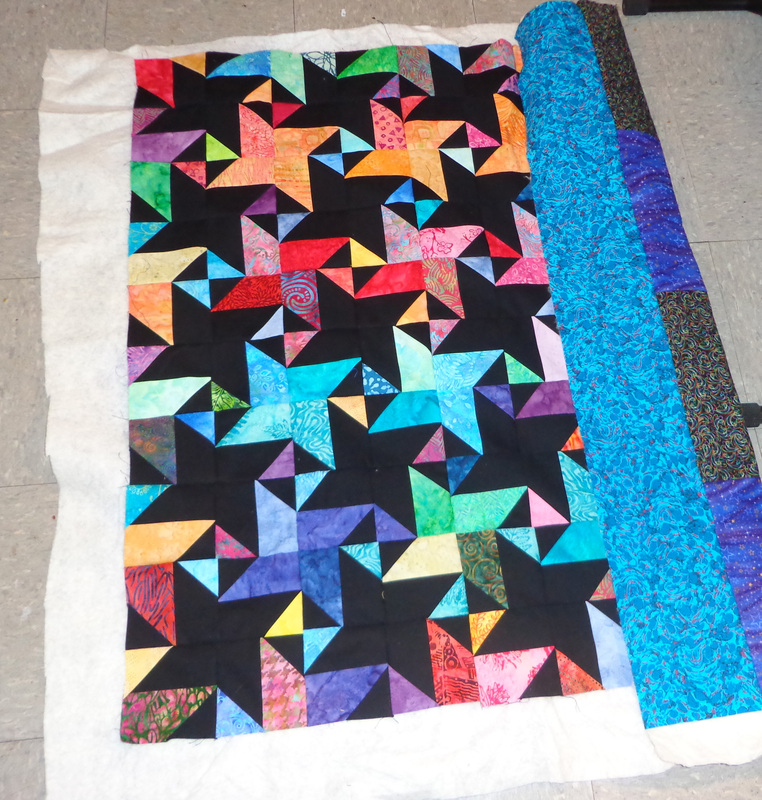 Cuz was cool, telling me she didn’t want to cause me stress, and if it happened, great, if not, then I’d be getting something I really liked out of this ordeal (and even so, will be making blocks for myself for this quilt anyway). 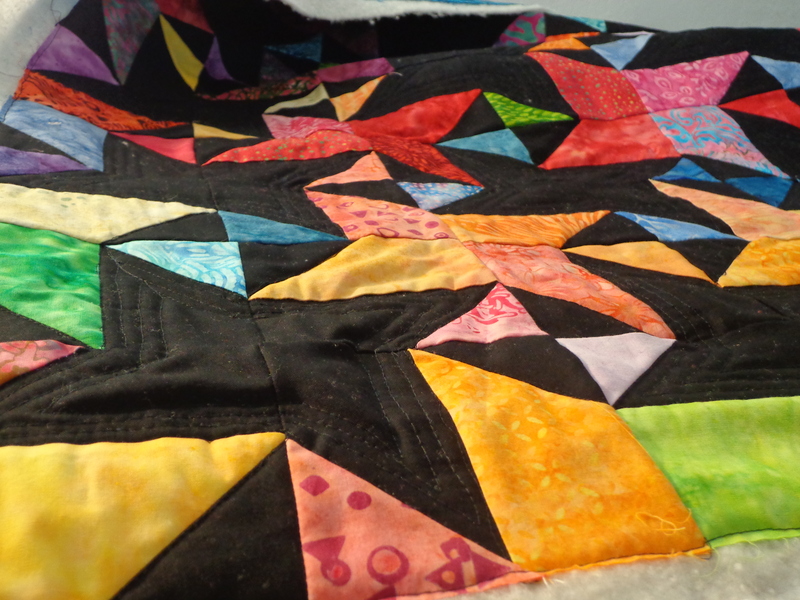 The quilt I saw was “Star Struck“. In the dark & brights version. Less scrappy than bonnies traditional scrappy quilts, but scrappy none-the-less. And the blocks are easy. 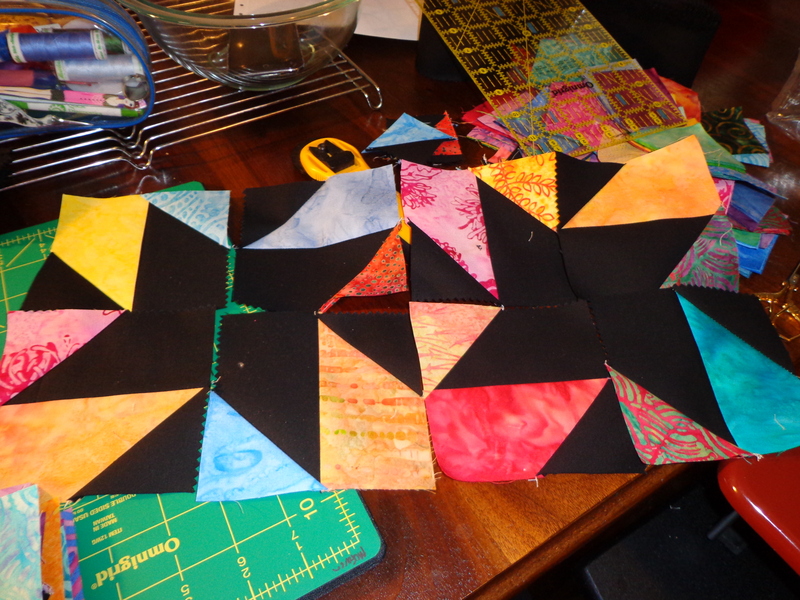 I’ve made the sub blocks for 11 of them and just started sewing them the last 2 days. Now I know to get the 4 subblocks sewn (not together yet), it takes me just under 10 minutes and 30 seconds! 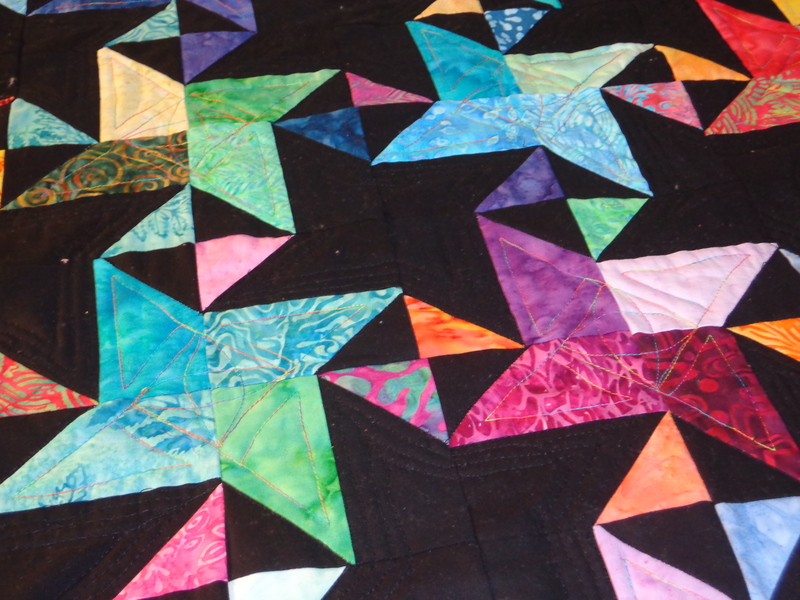 If you want to learn how to make the blocks, head over to Bonnie Hunter’s site to see her progress and get the steps on how to make them. Her tutorial is easy to follow. Here’s my first 2 blocks. Oh so fun! And I love the secondary pattern that shows up in the end. So satisfying. And cheery! 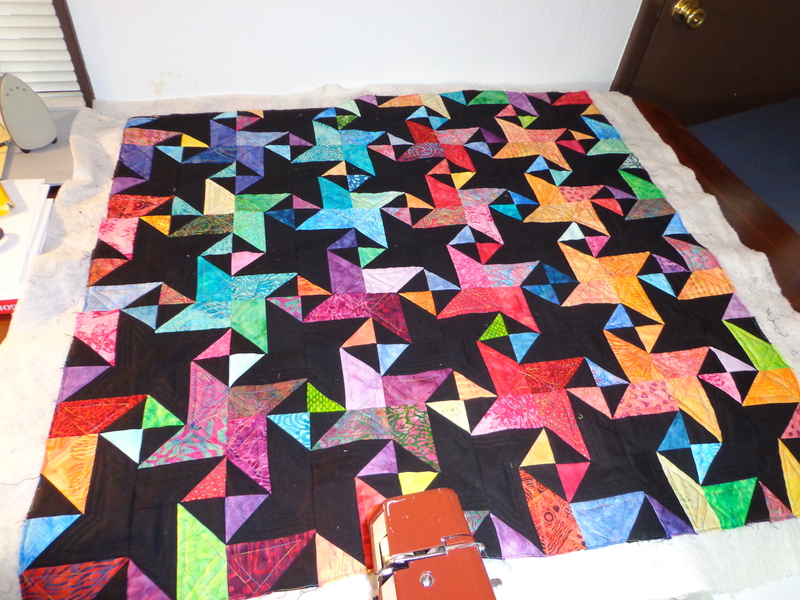 But due to the pinked edges, I don’t think the baby will see many sharp points on this quilt. But sharp objects are bad for babies anyway. I neglected a whole bunch of things today to work on this. So rapid progress made so far may come to a grinding halt this coming week with work, cooking, shopping for groceries, playing video games and / or billiards. So we’ll see how much of this gets done beyond today. 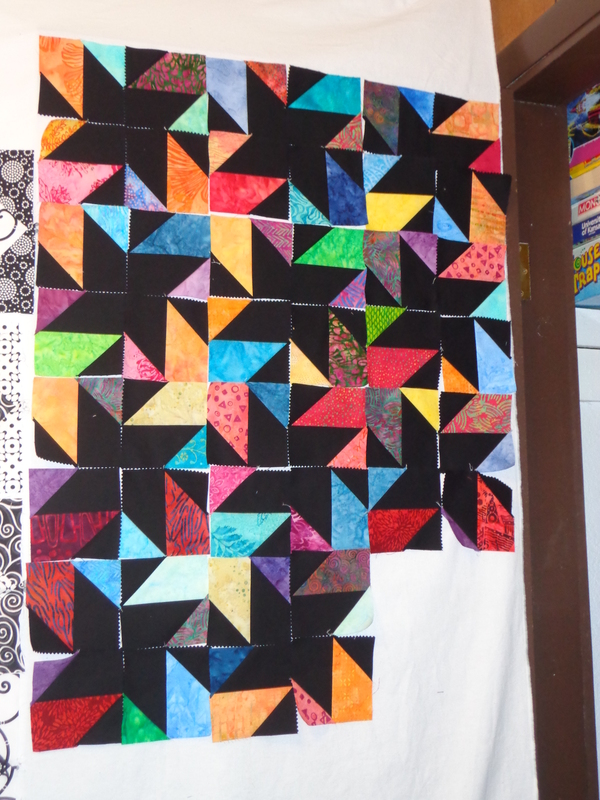 It feels better getting things done toward this quilt, even if things don’t work out with the commission. 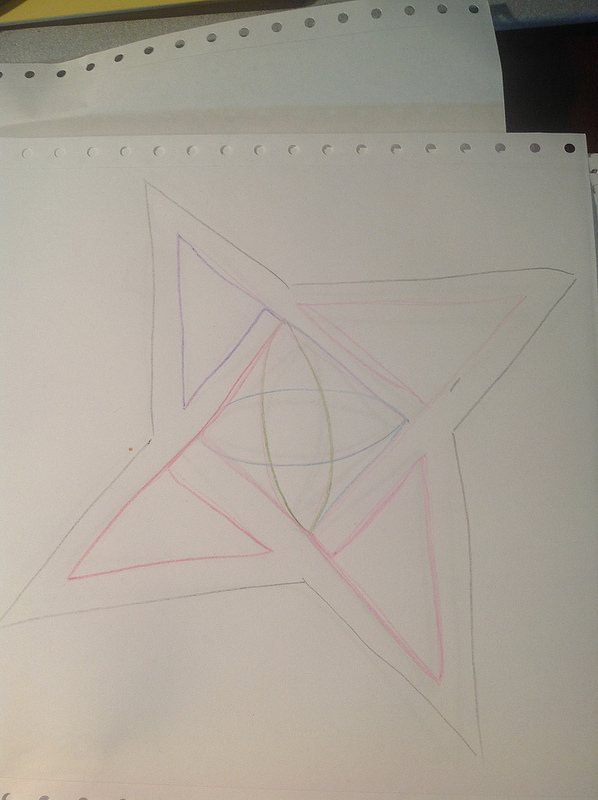 (price doesn’t seem right, baby hates the quilt, mommy hates the quilt, baby is 25 before getting the quilt made, ya know, baby is opposed to triangles, or is allergic to triangles, baby cannot stand the randomness, or detests rotational symmetry, – ya know the regular things that could cause this to go wrong).